I'd love to see Alolan formes! 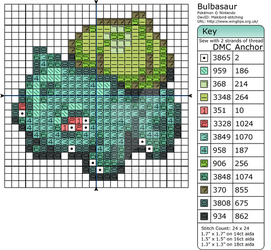 I'm totally gonna learn to cross-stitch just because these exist!! Also, would is be possible to get non-shiny Chandelure and charts for the Shiny Eeveelutions? Or is there an easy way to convert them myself? Please make one of the Alolan-Forme Pokemon. I thought I had saved all the starters from Gen 1 to Gen 6 but I can't find some of them. Did you take them down or did you never have them to start with? Love these so much! I did the Eeveelutions which I still need to post here. I can't wait to do the starters. Will you be making patters for the Gen 7 starters? 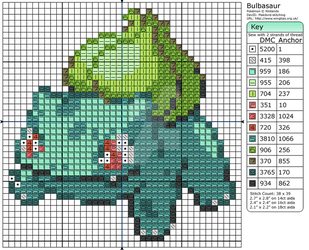 it doesn't only work for cross-stitching it also works for hama beads ty! These are amazing. 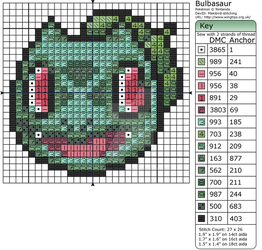 Do you mind if I convert some to bead art with hama beads? I will mention you in the discription of what I make. Bless your soul! Thank you so much for these!!! !